When Leanne Guzzwell arrives with her assortment of exotic animals to an event, eyes widen, mouths drop and curious minds run wild. 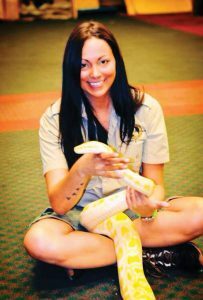 A major attraction of Guzzwell’s which usually garners the most attention is her eight-foot, 14-year-old yellow-and-white pet albino Burmese python named Lemonade. 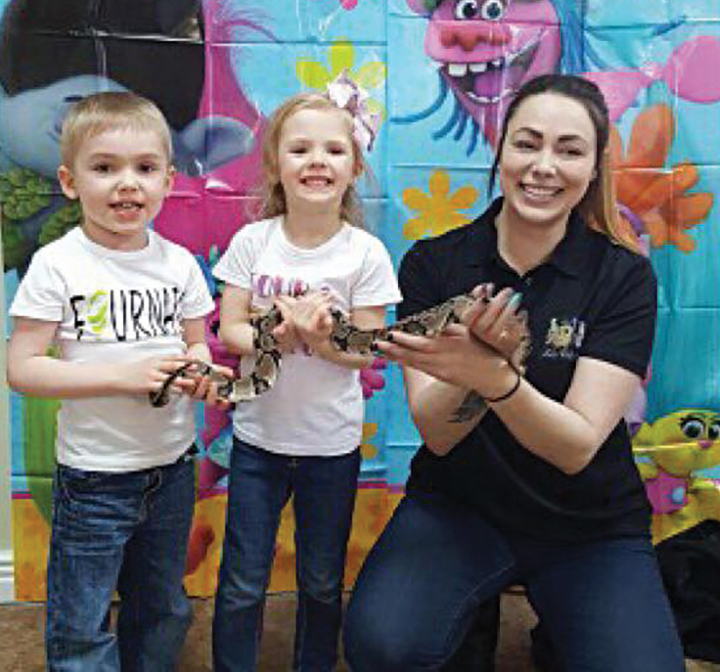 Guzzwell is the owner of LeAnneAzon, a business she started less than a year ago, where she brings her exotic pets such as snakes, spiders, lizards, birds and tortoises to birthday parties, school and daycare events, festivals and even corporate events. With LeAnneAzon, people are allowed to get up close and personal with these creatures in a safe environment –and Guzzwell insists the main goal with her business is education. Guzzwell, who is currently working on her third university degree says her first two have nothing to do with animals. Now she’s working on her master’s in animal behaviour in a program called cognitive and behavioral ecology. 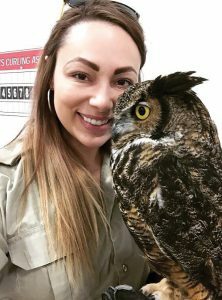 “I took a little bit of time off after my 2nd degree and then I realized I really wanted to further my education in relation to animals,” she shares. Guzzwell’s passion for reptiles began when she received her very first reptile, a baby bearded dragon. “I saw a chameleon in a pet store and I was fascinated by just how prehistoric it looked,” she confesses. “It just looked so different from your mammals and birds that you would normally see in pet stores.” When she decided a few years later to get a lizard, she chose the dragon, but not before she did her research. Guzzwell worked in a pet store, where she would often bring home sick animals such as snakes and lizards to take care of and from there, she says it just all snowballed. “I started with having just one lizard to 50-plus exotic pets,” she laughs. 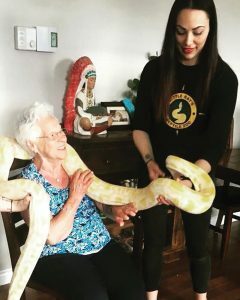 In 2009, when Guzzwell learned that Little Ray’s Reptile Zoo, a zoo and wildlife refuge based out of Ontario, was coming to Newfoundland, she wanted to do more than just attend – she wanted to get involved. She reached out to Paul Goulet, Little Ray himself and asked if she could volunteer. She continued to do so until 2011. 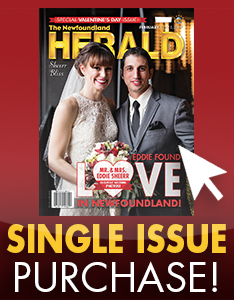 She then became Little Ray’s Newfoundland franchise owner, which she ran for six years. Last year however, Guzzwell decided she wanted to branch out on her own. She wanted to do the exact same work but with her own company brand. She hasn’t left Little Ray’s behind though. Guzzwell still works with them when they hold their annual show at the Remax Centre here in the city. The company Guzzwell created, LeAnneAzon, offers a unique, engaging and memorable alternative to an event rather than pizza and bowling. With her company, Guzzwell aims to entertain In addition to teach as she believes knowledge is the key to understanding these creatures. “The more you learn about these animals, the less scary they become. I think it’s a lack of understanding them and a lack of knowledge about their true behaviour,” she says. Guzzwell says the response to LeAnneAzon has been very favorable.